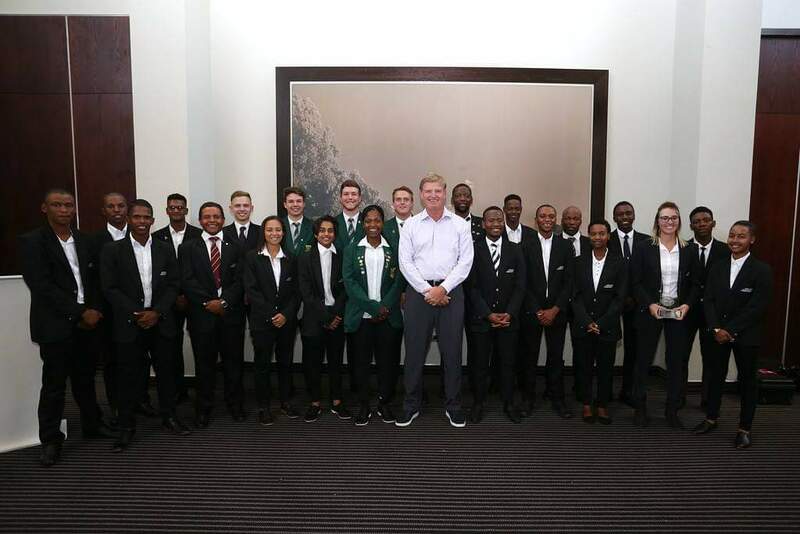 The Ernie Els and Fancourt Foundation had their annual awards function at Rand Park Golf Club. 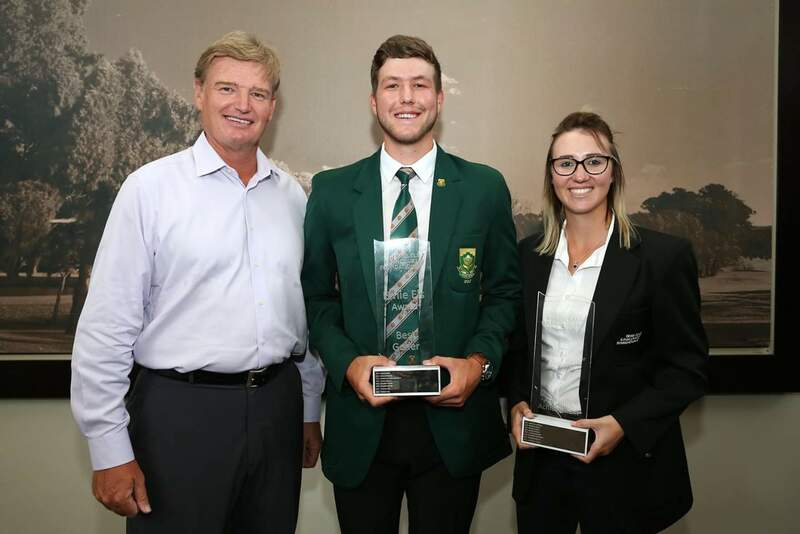 Akasia Golf Club Member and Ladies IPT Captain Larissa du Preez won the prestigious Dr Hasso Plattner Award for Academic Excellence. New inductees for 2019 from GNGU were Shanice de Gee from Woodhill Country Club and Boipelo Raphiri from Akasia Golf Club. This entry was posted in Golf News on 10/12/2018 by Morné. The 2018 Silver Salver was played at Irene Country Club from 19-21 October 2018. 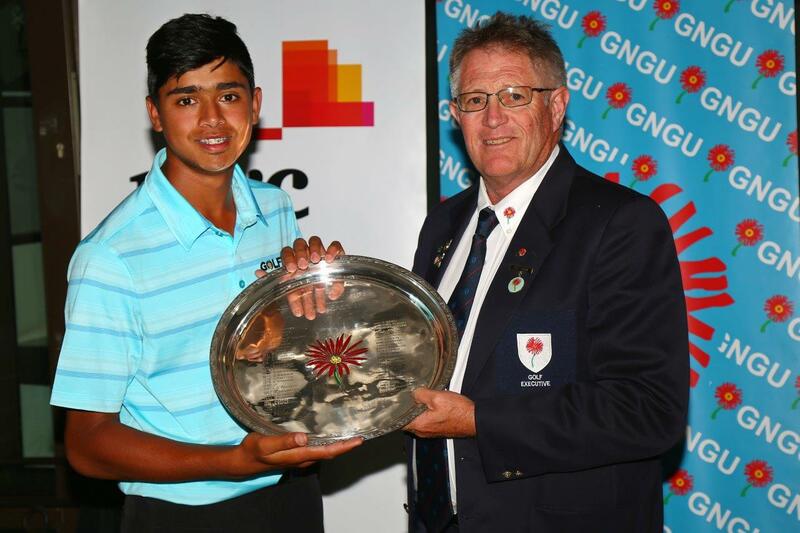 The Tournament winner was Yurav Premlall (-5) who shot rounds of 72, 69, 70 to win the Salver by 2 shots over Kieron van Wyk (-2) who was in a close second. Fridays first round saw 108 players teeing it up with the dream of adding their name to the greats who won the Silver Salver in the past. Local boy Andrew Williamson had a dream round of 65 which included a Hole in One on the par 3 7th. Round 2 was tormented by adverse weather that meant that the round only could be completed on Sunday morning, this reduced the tournament to 54 holes. Round 2’s best round was played by Karabo Mokoena 6 under par 66. On a score of 4 under par 68, Jayden Schaper and Daniel Nduva were the players with the lowest rounds in round 3. We would like to thank Price Waterhouse Coopers for the sponsorship and their continued support of the event and the Union. We also like to thank Irene Country Club and their members for presenting beautiful course making the facility available for the event. This entry was posted in Golf News on 23/10/2018 by Morné. 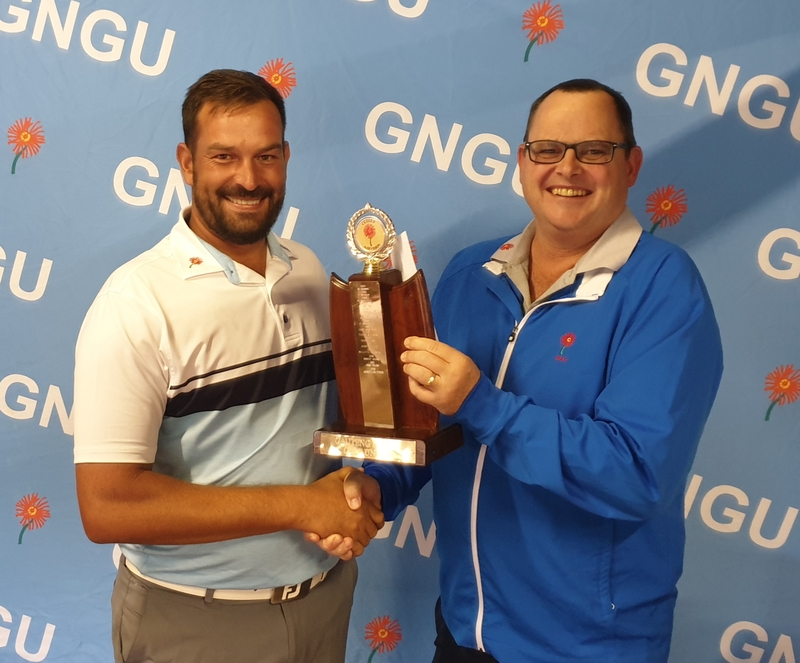 The 2018 GNGU Team of Two Tournament was held on the 16th of September at Silver Lakes Country Club. 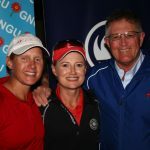 Adding to the initiative to grow the smaller events and to give more golfers the opportunity to play, the tournament was open to both men and women with no handicap limit. The tournament had 30 pairs entered. The format of the day was Betterball Medal Net in the morning and Foursomes Medal in the afternoon. 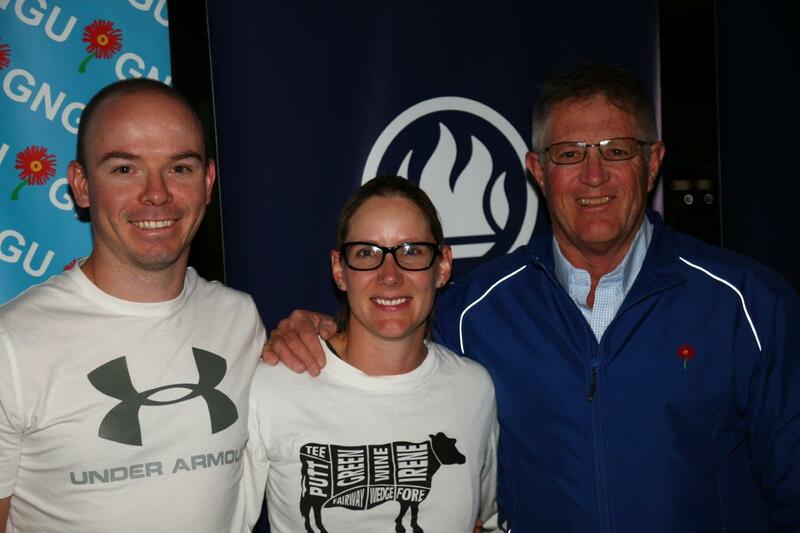 It was a battle of the local players with Madeleine de Wet and Franci Coetzee on a total of 135.5 nett snatching victory with only 0.5 between them and second place Willem Kloppers and Yolandi Kloppers who had the best morning round of 58 nett. Third place went to Joe Mnyandu and Clifton Stanley. Thank you to Silver Lakes CC and its members for allowing us to host the tournament at your Club and for your assistance and hospitality. The next teams event is on the 7th of October at The Els Club at Copperleaf. This is the Coronation Cup. It is another opportunity for any affiliated golfer to enter and have a fun day out on the golf course. CLICK HERE to enter online for this event. This entry was posted in Golf News on 17/09/2018 by Morné. were treated like royalty with each of them receiving a commemorative Tshwane Open shirt, cap and 2 meals through the day. We had a full field of players teeing it for a chance to get an invite to play in Tuesday’s Tshwane Open pro-am at Pretoria Country Club. With a great score of 70 two under par, Alessio Graziani was crowned as champion of the day which got him a spot in the Pro-am. The other two players who qualified were Michael Hempel (B-div winner) and William Reyneke (u/13 winner). At prize giving we had the privilege of having the Executive Mayor of City of Tshwane Councillor Solly Msimanga and MEC of Community and Social Development Services Councillor Ntsiki Mokhotho handing over the prizes to our winners. 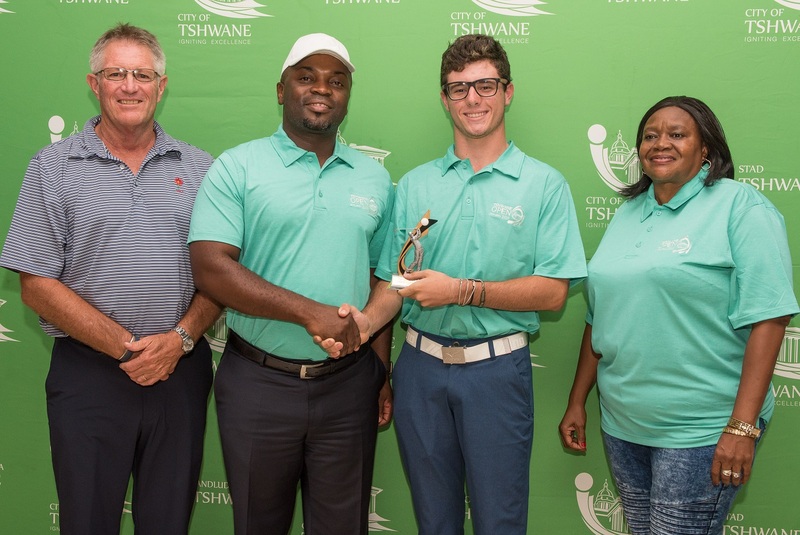 A great thank you to the City of Tshwane for making this event possible and creating fond memories for our junior players. This entry was posted in Golf News on 26/02/2018 by Morné. 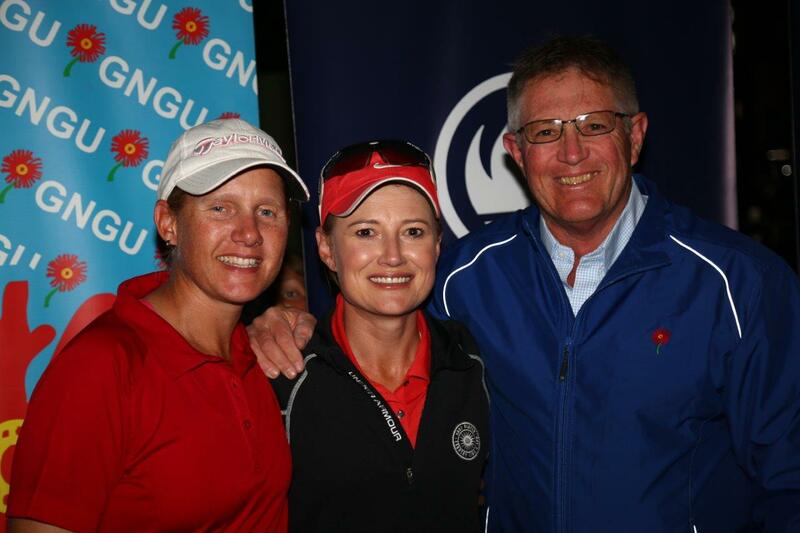 The LIBERTY GNGU Open and Closed foursomes was held at Zwartkop CC, Sunday 27 August. 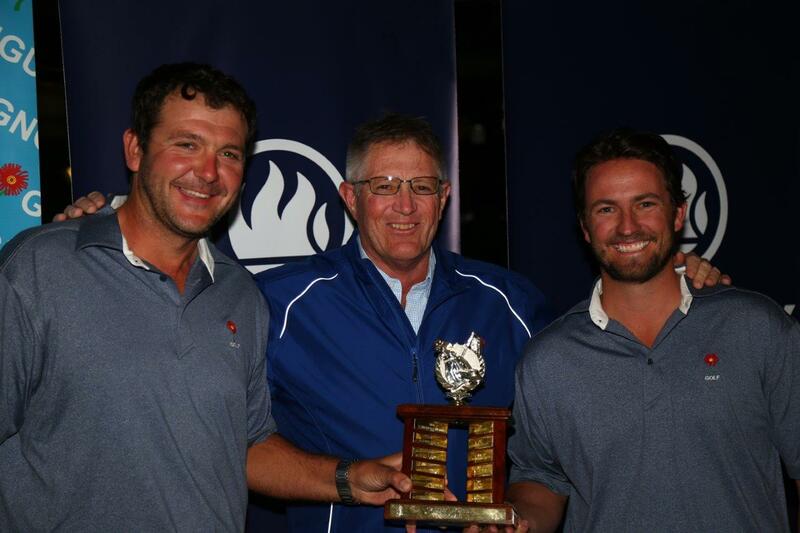 The Mid-Amateur duo of Alex van Heerden (Wingate Park CC) and Danie Viljoen (Silver Lakes CC) won the tournament on a steady 4-under par score of 138. The first round lead was held by Richard Joubert (Akasia GC) and David Nortje (The Els Club) on 3 under par followed closely by Gustav Verster and Louis Jonck (Both Irene CC) on two under par. Verster and Jonck eventually finishing in second place. 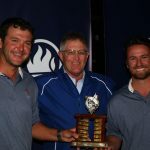 They could however not keep up with the pace of van Heerden and Viljoen who shot a 3 under 68 during the afternoon round. 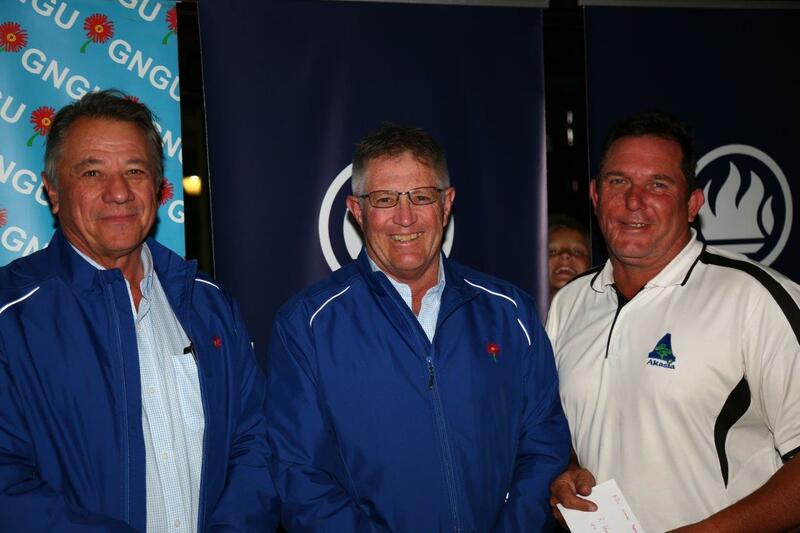 It was a landmark event for the Gauteng North Golf Union. It is the first event where male, female and mixed pairs were invited to participate in the same event and competition. 47 Pairs entered the event. Three female pairs and eight mixed pairs took to the field. 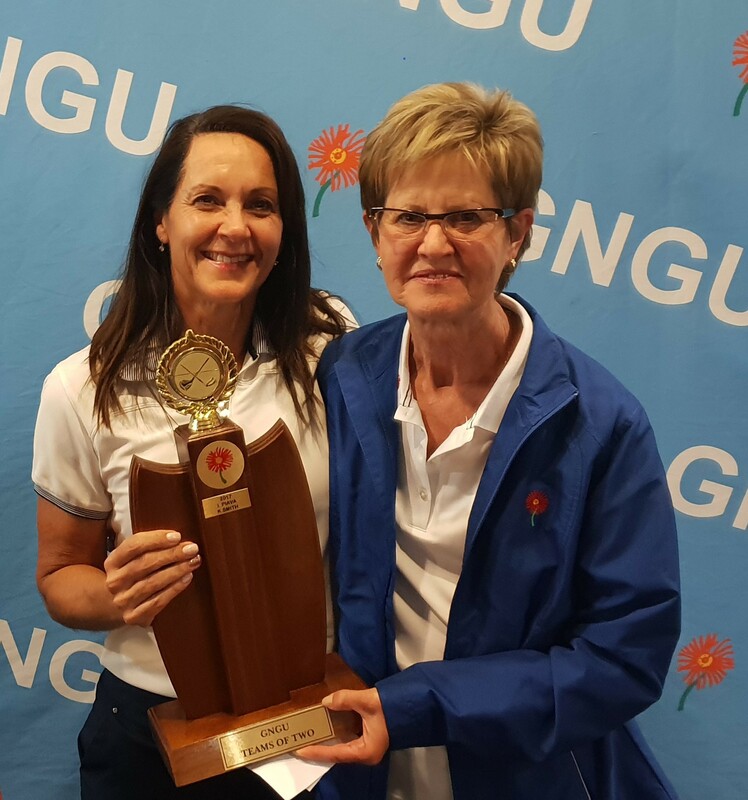 The female pairing of Adele Beytell (Woodhill CC) and Heidi van der Berg (Services GC) won the A division Net, on a stellar score of 138. The Mixed pairing of Anthony Usmar and Chantelle Loots (Both Irene CC) were crowned B-division Net winners on 131, whilst the duo of Neill Malherbe and Riaan Hattingh (Both Akasia GC) won the B division Gross on a great score of 159. A big thank you to our sponsor LIBERTY for making the event possible. Thank you to Zwartkop CC management and it’s members for allowing us the use of it’s facility. This entry was posted in Golf News on 29/08/2017 by Morné. 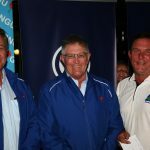 The GN selectors announced the Team last night to represent GN at the 2017 Senior Inter Provincial during the period 23 – 29 April 2017 at Simola Country Club in Knysna, Southern Cape. The Union wishes the Team the best of luck and hope to see the Trophy on their return. 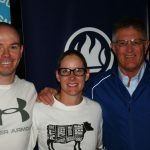 This entry was posted in Golf News on 07/03/2017 by Morné.